The Bahraini leadership's policy regarding the naturalization process reveals wide practice of discrimination, abuse of power, defect in the rule of law, absence of transparency, manipulation of the democratic process and weakness in scrutinizing the executive authority. The huge increase in naturalized citizens worsened the already deteriorating economic situation in Bahrain. The result was escalation of unemployment, poverty and housing problems, thus affecting the rights of women, children and weaker segments of society (1). The process of exceptional naturalization, employment of these naturalized persons in security departments and providing them with privileges, have psychological and social impacts on the social structure, provocation of racial and sectarian conflicts, hatred towards foreigners (xenophobia) (2). Although the motives behind discrimination are political, the form it takes is sectarian and racial. The BCHR fears that social and economic impacts of this issue will further damage the citizens' confidence in the government and intensify public resentment, resulting in the re-occurrence of political and security unrest. The law in Bahrain allows granting citizenship with conditions. Among these conditions are residing in Bahrain for 15 years if the applicant is Arab; and 25 years for non Arab (3). However, in reality, the authorities in Bahrain followed discriminatory policy, by secretly and exceptionally granting citizenship in the last ten years to thousands of individuals and families of Sunni tribal origins, though they already hold citizenships of other countries and residential conditions do not apply to them. On the other hand, thousands of eligible people were denied citizenship although most of them had no other citizenship (4) and did not live in any other country besides Bahrain. This denial created difficulties for 'stateless' people especially in owning properties, having jobs, and traveling or mobility (5). Granting citizenship with exceptions and secretly without adherence to the law is still a worrying matter regardless of the political openness that was introduced by Sheikh Hamad bin Isa Al Khalifa who came to power after years of internal political unrest and international pressure – this resulted in granting citizenship to many eligible people – a move that was endorsed by human rights organizations and by the public. Most people are reluctant (6) that the authorities have no transparency and make no effort to resolve the issue. The Council of Representatives formed a committee to investigate the issue, but the 'law on the Consultative Council and the Council of Representatives' issued by a decree before the formation of the later, prevents the Representatives from questioning the government on matters preceding its formation in December 2002. The Committee is also restricted from reviewing the process of naturalization, which was granted by the King's exceptional authority (7). Despite, the political limitations and restricted information obtained by the committee, its members were able to reveal serious breach in granting citizenship. The committee's report also pointed out that the increase in the number of naturalized citizens had a negative impact on security, social, economic and living standards. It recommended that the law on citizenship should be amended, citizenship granted outside the scope of law be reviewed, the directorate of citizenship be re-organized, and criteria for exceptional residence conditions be put forth. The report held the Minister of Interior Sheikh Mohammed bin Khalifa Al Khalifa responsible (8). The discussion on the report was postponed to next month. Many doubt the representatives' ability to disclose political facts, let alone taking measures in this regard. Six political societies held conferences, and visual-taped samples of granted passports. These societies also issued detailed reports on breaching of the law, and sent questions to the undersecretary of immigration and passports, but no response was received until now (9). Most of those granted exceptional citizenship are of Sunni tribal origins, of which the 'Al Khalifa' ruling family belong to. They are a minority in the country, though they dominate the political and economic life, as well as the military and security institutions. Persons who were utmostly denied the citizenship for a long period of time belong to Shia sect of Islam who form the majority of population. Shia are discriminated against in government, army and security jobs and in educational and housing services (10). Thus, they are the unemployed majority with wide-spread poverty, opposition tendencies and protest activities. All those granted citizenship with exception were employed in the Defense Forces, National Guard and security forces. They and their families reside in semi- remote areas (11). They were actively engaged in suppressing protests. These institutions marginally employ a few Shias. During the 90s unrest, tens were killed and injured due to excessive use of forces, to crush down demonstrations. While, approximately 7,000 citizens (mostly Shias) (12) were detained and tortured. The authorities took initiatives to grant the citizenship to a large number of individuals from the Saudi Al Dawaser tribe, who had never resided in Bahrain. These people were brought to Bahrain only to participate in the elections of the Council of Representatives (13). The authorities also issued orders to army and police associates to take part in the elections (14). The authorities amended the law just before the election to allow the newly-naturalized citizens to participate in the elections, rather than wait for 10 years to be eligible to vote, according to the previous law (15). The Bahrain Centre for Human Rights calls on the authorities and concerned human rights bodies to intervene to push for transparency, whereby the authority reveals all information related to naturalization, mainly in the period of the 90s. To hold open dialogue to discuss and resolve this issue. To carry out administrative reforms in all concerned departments and to prosecute officials who violated the law. To amend the naturalization law, which would clearly specify conditions for citizenship, restrict the authority from abusing this power and achieve transparency by officially disclosing granting citizenship. To introduce procedures that will stop any discrimination in granting citizenship and any newly-naturalized citizen from being given preferences in employment, housing and other privileges. To give priority to the citizens, without discriminating among them, in employment and promotions in the army and security institutions. To give priority to those who are being denied citizenship, to women who have Bahraini children and to children of Bahraini women. To speed up the process of granting citizenship to those who deserve it, and to issue passports to denied Bahrainis, such as the descendents of Mr. Saleh Al-Setrawi, who until now are barred from returning to Bahrain. (2) Privileges are given to the naturalized persons in acquiring jobs in the army and security institutions, while Shia citizens who are a majority and consist the majority of the 30,000 unemployed Bahrainis, are denied these jobs. While naturalized persons injoy housing facilities, there are more than 40,000 applicants for public housing, some for more than 10 years and there are approximately 10,000 homes about to collapse and not suitable for living. The naturalized persons are given preference in salaries, allowances and promotions. (3) Article no. (3) Bahraini citizenship law for 1963. (4) Universal Human Rights Declaration stipulate that every individual has the right to a citizenship. 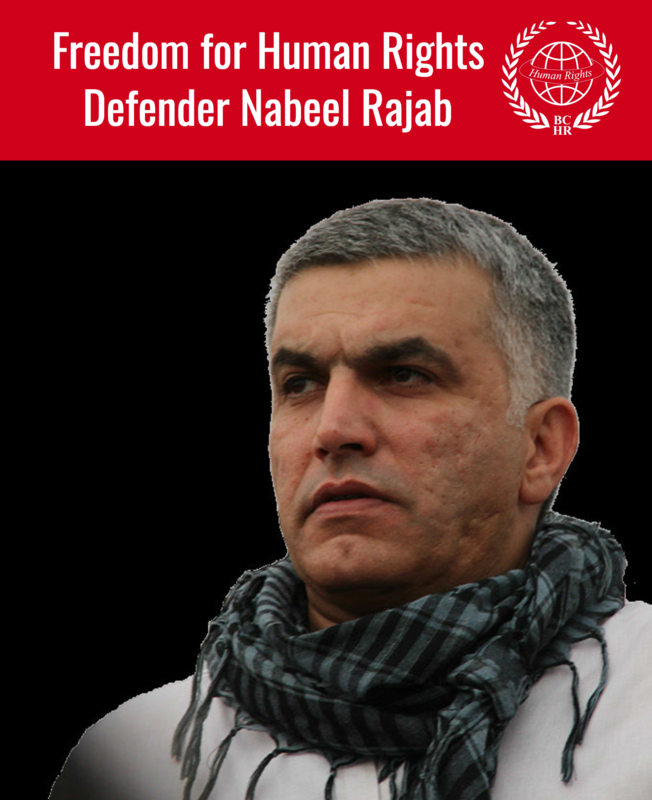 (5) Consider reports by Amnesty International, US State Department and Bahrain Human Rights Organisation for 1990-2000. (6) The passports directorate still places obstacles before many of those who deserve the citizenship, whereby the Bahrain Centre follows-up more than 40 cases of individuals and families, the authorities slows down the process of granting passports and allowing the return of 66 children and descendants of Saleh Al-Setrawi, who are in exile. (7) Most cases of exceptional citizenship is believed to have happened in the 90s, with special decrees issued by the late Amir. (8) Statements by the vice chairman of the parliamentary investigation committee regarding naturalization- Al Ayam newspaper 16/2/2004. (9) Consider reports and working papers presented by Al Wefaq, the National Action, the Islamic Action, the National Forum, Al Wasat Al Arabi and Al Menbar Al Taqadoumi. 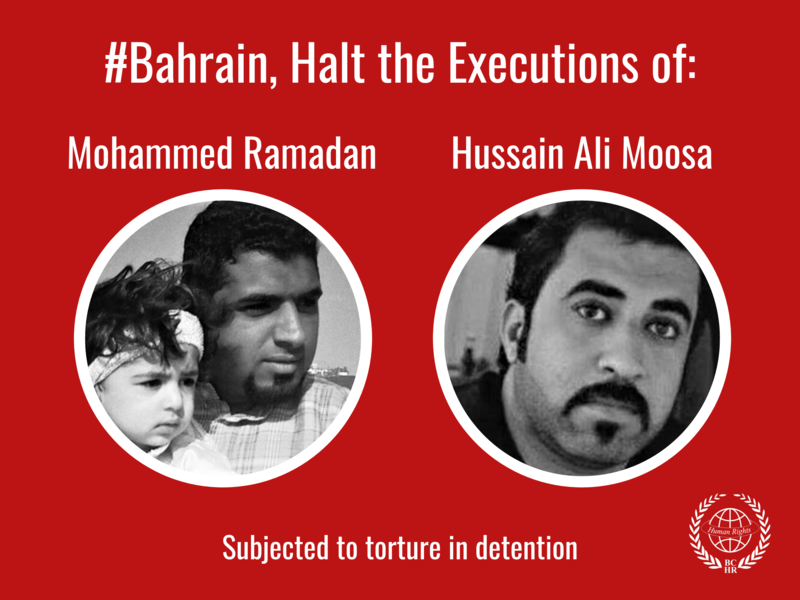 (10) Statistics report published by Bahrain Centre for Human Rights. (11) Such areas are houses of Defence Forces, Safiriya and parts of Hamad Town. (12) The committee for victims collected data on the number of victims. The committee submitted a petition containing 33,000 signatures of victims and their sympathizer, demanding compensation and prosecuting of officials. Refer also to reports by Amnesty International and UN’s mechanisms on violation in Bahrain during the 90s unrest. (13) In the beginning, the authorities did not admit to naturalizing members of Saudi Al Dawaser tribe. However after providing solid evidence in a public seminar by opposition societies, the King revealed that they were given the citizenship because their ancestors lived in Bahrain in the 1920s. (14) Considering that these segments are of Sunni tribal origins, their participation in the elections would benefit the nominees of these segments on the expense of the others. (15) The authorities intended to stamp passports of the voters, to find out who failed to participate in voting, mainly those in the military and newly-naturalized citizens. The opposition societies called for boycotting the elections, because of the constitutional changes made by the King, that among other matters, he appoints half the members of the parliament.